Valley Crossings Real Estate is a company focused on our Clients goals as well as our Agents Success. We have been conducting business in the local area for many years. Though the business was just newly formed in 2004, our Broker Elizabeth Castillou has been successfully helping families and investors buy and sell real estate since 1997. This experience has led to many satisfied clients and a great foundation for Valley Crossings Real Estate. We have and continue to work hard to gain the respect of the local communities. This recognition is built upon a respect of our clients and neighbors. We hope your experience with us will further this reputation of personalized service and client satisfaction. 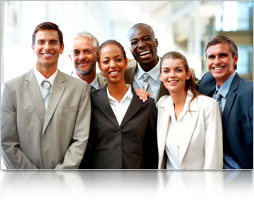 Our company is comprised of people who live and work in the surrounding communities. We have personal knowledge of each neighborhoods nature and growth possibilities. We hope to find the perfect fit for you and your family. Every community is unique. Whether your focus is on schools, shopping, transportation or recreational facilities, our associates will use their knowledge of the local areas to find the ideal property to meet your needs. We support your needs and goals. This is our main philosophy. Utilizing local databases of listings and software available to us, we keep you up to date on all of the latest and most current information of today’s market. Our office supports all of your real estate needs. Whether you need to find a home, investment, commercial property or just have a loan question...our associates and information resources will help you in any way possible. We implement the latest technology, continuing education and strive to find you the best resources out there. We understand that we need to earn your business. We will. Professionalism and supporting your needs will never come into question with using our services. Licensed with the State of California Department of Real Estate.